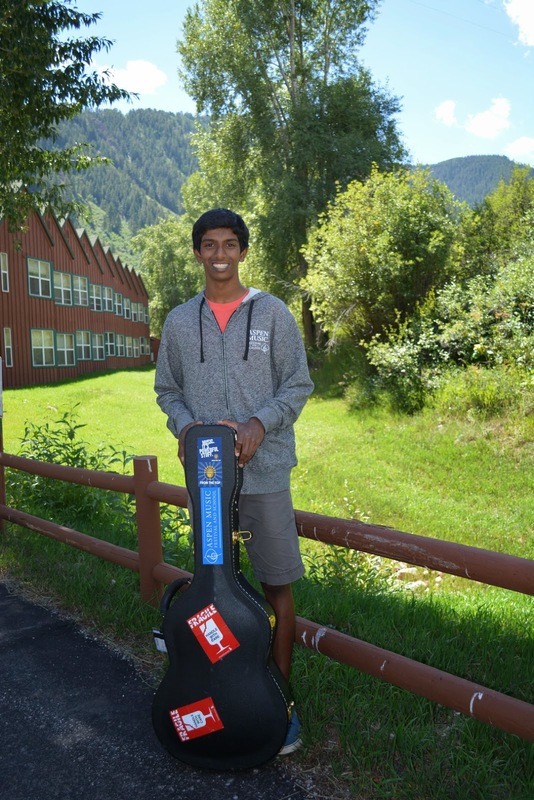 Hill Guitar featured player, Ashwin Krishna has been named winner of 2015 ASTA National Solo Competition First Place for Guitar, Junior Division. Ashwin is a student of Scott Cmiel at the San Francisco Conservatory of Music Pre-College Program where he has earned a Young Artist Certificate for his study of guitar performance, chamber music, musicianship and music history. In 2012 he performed at Carnegie Hall for NPR's "From the Top" radio and also placed first in the instrumental category in the Mondavi Young Artist competition. In 2011 he was the first guitarist to win the Pacific Musical Society Competition in the instrumental category. He has also placed in a variety of regional competitions, including second in the GFA junior division in 2010 and 2011 and first in the 2010 Carmel Classic Guitar Competition. Ashwin plays a Hill Signature Guitar.